It is a cold and rainy November night in GÃ¶teberg, Sweden. One of the country’s wealthiest men, Richard von Knecht, has fallen-jumped or pushed-five stories to his death. 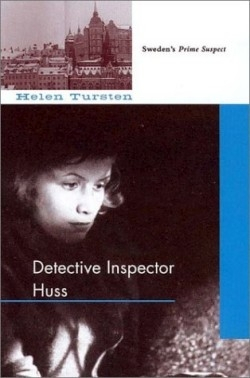 When the novel’s title character, Detective Inspector Irene Huss, is asked what is bothering her, she replies, “No, nothing. It’s depressing weather. Depressing, with scattered suicides. Depressing. Depressing!” This dark-humored line neatly sums up the mood and tone of this interesting, layered, introspective novel from Sweden. It is soon determined that von Knecht didn’t jump from his balcony, but was pushed. His wife and son, though acting oddly, had the peculiar alibi of being on the street when he hit the pavement. GÃ¶teberg’s homicide task force is just beginning their investigation when a bomb goes off in von Knecht’s office, nearly destroying the building and killing at least two people. Throw in a local bad guy, complex family history, a pack of Swedish Hell’s Angels, plenty of sexual intrigue and scandal, and Inspector Huss has her hands full. Told mostly from Irene’s point of view, the novel is rich in detail and layered so that it resembles an archaeological dig as much as a crime thriller. Each scene slowly reveals more about the mystery to be solved, and also about the life of a woman in Sweden’s law enforcement. Not only does Irene have to contend with a complicated, high-profile murder investigation, but she has a husband and two daughters, one of whom has decided to shave her head and join a Neo-Nazi rock band. Refreshing in a way that more crime novels should be, Irene has a life and family and all the messy problems and conflicts that an intense, demanding job can bring. In short, Irene is a fully realized, true-to-life character with all the talents and shortcomings of a real person. The pace of the novel is deliberate, almost painstakingly constructed, rich in detail and tense with psychological atmosphere. Readers can rejoice that the author turned to professional writing after practicing dentistry for ten years; this is her fourth book. Her creation, Detective Inspector Irene Huss, human to the core, is a likable, believable character, one who seems to walk out of real life, not just out of a good book.